Details of Normandy Four phone conference unveiled. The leaders of Ukraine, France, Germany and Russia in a telephone conversation expressed support for the deployment of the OSCE police mission in Donbass and agreed to continue consultation on the issue, reports the press service of the Ukrainian president. The leaders discussed issues surrounding the political settlement of the situation in the southeast of Ukraine, the Kremlin press service reported. "The sides reiterated the importance of strictly observing the ceasefire regime, raising the effectiveness of the OSCE Special Monitoring Mission's work in the conflict area by giving it additional powers, as well as bolstering the Joint Center for Control and Coordination," the Kremlin said. Ukrainian president, as reported by his press office, drew attention to the deteriorating situation in the Donbass, in particular noting the attacks in Avdiyivka area. "The interlocutors agreed that strong de-escalation and a full ceasefire are needed to continue the political dialogue. The president said that Russia should withdraw its troops from the occupied part of Ukraine and stop sending arms and mercenaries there," reads a statement posted on the website of the Ukrainian president. Poroshenko pointed to the deteriorating situation, in particular the shelling of the anti-terrorist operation forces in the area of Avdiyivka, noting that it is "a real obstacle on the way to a peaceful settlement." Poroshenko called on Russia to release all Ukrainian war prisoners, including Nadia Savchenko, Henadiy Afanasiev and Yuriy Soloshenko. Ukrainian president also condemned the constant violation of the rights of Crimean Tatars in the Russia-occupied Crimea and urged them to immediately stop the persecution and release all political prisoners. 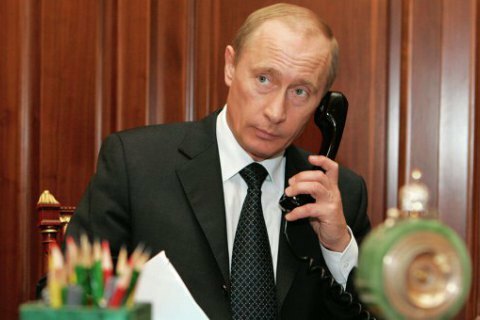 According to the Kremlin press service, Putin said that the partners in the Norman Four were given an "agreed with the DNR and LNR package of proposals concerning local elections, special status, amnesty and decentralization, which should be carefully considered by the Contact Group." The four leaders also touched upon some aspects of the crisis in Syria. Earlier, the OSCE announced readiness to implement the idea of placing a police mission in Donbass, provided all involved parties agree. Russia has opposed an armed OSCE mission in Donbass.